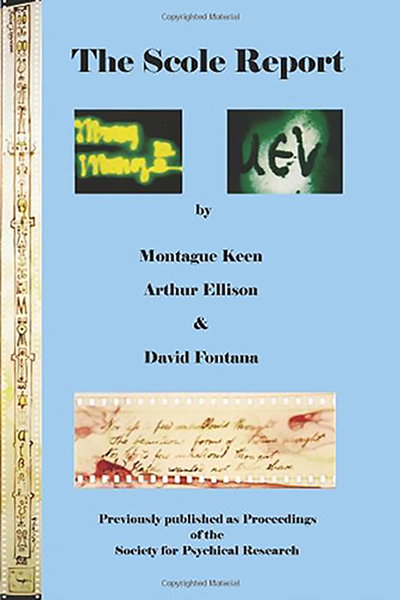 Introduction to the new work of the two Scole mediums, Alan and Diana Bennett (See the new Crystal Photographic Experiments [CPE] and ScoleCam Experiments [SCE]). Having been in regular contact with Alan and Diana, the Scole mediums, since the cessation of proceedings at Scole, we were very pleased to hear from them, in early 2006, with an invitation to visit. They had, we learned, been working ‘in a different way to Scole’, and results had started to come through. 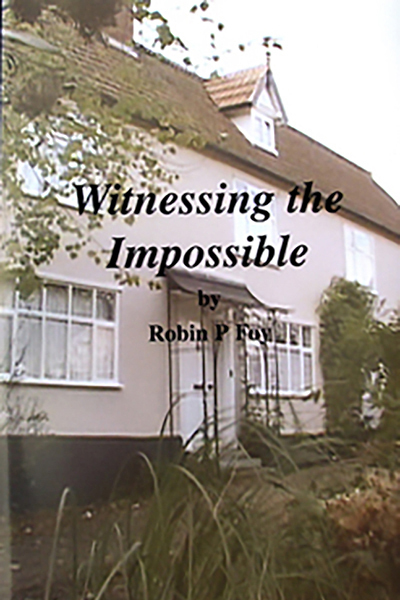 We travelled to their home in Norfolk, wondering what might be in store. If the portal(s) had indeed been re-opened for communication with other dimensions, we speculated on what form that communication might take. So many times people would say to us, ‘Oh how disappointed you must be, not being able to carry on with the Scole Experiments’. Well yes, there is always some sadness when something like that comes to a premature end, but we were always told to try and be positive in our thoughts whenever possible. So sadness and disappointment should only really be short lived, and not allowed to dominate our thoughts and lives. Although we (as a group) have not been carrying out experimental sessions at Scole over the last few years, we have as individuals been exploring our own particular interests in psychic phenomena and healing. 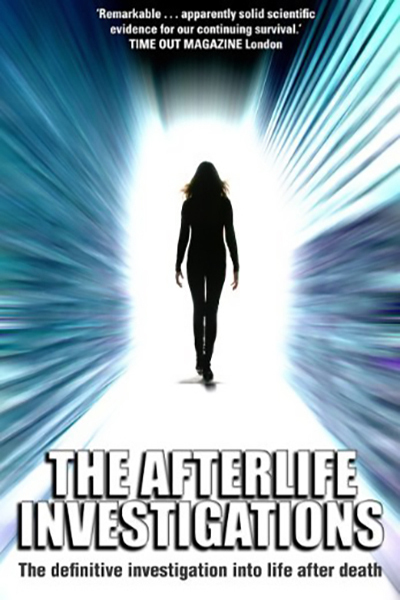 Having been very much involved (Diana and I were the two mediums at Scole) at the cutting edge of psychic research, we decided, after a long break, that we were not prepared to stop working altogether. We owed so much to those in the higher realms that we knew in our hearts we would continue to experiment in one way or another. I have always seen, in my mind’s eye, a phoenix rising from the ashes with renewed vigour to live through another cycle. Diana has always had that wonderful gift of ‘far sight’ and receiving guidance in her dreams, so it was no surprise when she told me that she had ‘seen’ the two of us working together again. She was told how we should take the first step, in the form of a shared spiritual experience. We followed her vision of a simple experiment using a crystal, where the two of us linked together mentally and shared a journey of exploration. This experience was incredible; we were both shown such wonders and places. We were guided by a sentient being through a wonderful ‘magical mystery tour’ where we met another being whom we conversed with. Through several other forms of communication we were shown how to set up an experiment that would, they explained, enable us to glimpse into other worlds (dimensions). We found that it was necessary to continue to follow our intuition, and to be ‘guided’ by them, if we were to achieve satisfactory results. It has required total dedication and perseverance as well as an open but still discerning mind. Before I continue, I would like to mention one very important factor, and that is that old chestnut ‘total darkness’. We were ‘guided’ to do this new work in full light. After so much criticism in the past regarding the physical phenomena obtained at Scole being in total darkness, we decided that we would only continue to work as mediums, in full light. This has proved not to be prohibitive in anyway whatsoever, as we have already achieved very encouraging results. What lies at the very ‘heart’ of these experiments is the process we are using to access these dimensions. As I have already said, we were told just how to set up these experiments and how it would involve the use of light and colours. This is very important. It also requires our joint input in the form of a powerful visualisation to create a central focal point for the experiment. Refracted light is then focused onto this point through several lenses before the computer software captures the images. Our current experiments mainly take the form of a joint meditative session, where we raise our consciousness and focus together on our objective for that experiment. The equipment is pre-configured and ready to run, allowing us to concentrate on the ‘higher’ aspects of what we are doing. We usually have several ‘takes’ during a typical session, again leaving it to what feels right as we rarely know for sure if we have been successful in capturing any faces. Some of the best results we have obtained have been with ordinary photographic equipment. We now find ourselves using our own intuition and not relying entirely on ‘spirit’ communication for direction. This, I have to say, has been very interesting, exploring the different possibilities and approaches to the experiments, by allowing our ‘higher minds’ to guide us. We can only guess as to what is actually happening when we receive a positive result, and by following the ‘intuitive’ suggestions offered we feel we are giving the experiment the best possible chance. We have felt for some time that the chances of a good result are greatly improved if we offer as many variables as possible within the experimental framework. By this I mean thinking of the experiments themselves as multi-dimensional and not just a singular attempt to get a singular result. I firmly believe that by supplying a randomized source of material for the ‘other side’ to use, we (and they) stand a far greater chance of success. although not exclusively, faces seem to be the most common results up to this time (see plate section). From the many images we have, around 90% are faces, or parts of faces. Some are literally half faces, which lend themselves to the use of a mirror to make a more complete face. By this we mean images (usually faces) that appear to be mirrored as well as captured using mirrors. We do not see any reason why the use of mirrors should be seen as reducing the value of a positive result. On the contrary, we believe that any equipment which aids the results is useful. It was explained to us through ‘communications’ that experimenting with reflected and refracted light would give us a much wider field to explore. It was implied that water was also important and could help. We have used various types of mirror during our experiments over the past few years. Coloured (polished metal) mirrors have given some of our best results, full of colour and definition. It would seem that colour and definition go hand in hand in our work, as the monochrome images, although still very interesting, seem to lack the quality that the coloured ones have. We have used these mirrors to reflect a light source back into the point of focus (where we capture the images), to give the subject depth. Have you ever looked through a simple microscope and seen how adjusting the mirror (light source) gives the object greater depth and makes it stand out against its background? This is similar to what the camera sees during our experiments. With our light experiments, we generate a vast spectrum of colour and intensities by passing the light source through crystal. This source itself is variable, which, in turn, causes many different light patterns and colours to be formed. Some of the light frequencies generated are of course beyond our own visible spectrum, so the resulting light contains much more information than we realise. We may include a mirror between the source and the crystal (focus) or beyond the focal point, allowing the light to flood back onto the subject. Apart from ordinary mirrors, we have used convex and concave mirrors to very good effect. We have also experimented with polished metallic disks such as brass (yellow) and copper (red), which have created some of the more striking images. ‘Scry’ and ‘Discry’ mean looking at things at a distance using your own inner vision. Mirrors and other reflective surfaces have been used for centuries for these purposes. ‘Scrying’ is also the term used to describe the technique of looking into a mirror or crystal to see (using your higher consciousness) into other dimensions. When a crystal is used, scrying is known as catoptromancy or crystallomancy, but historically anything reflective has been used. One aspect that excites us in particular is that this new approach is only now possible with the advancement in electronics and the related computer technologies. Therefore, it is interesting to wonder where will we be, and what will we discover, in the years ahead? Images were captured during an experiment we were conducting using a Herkimer quartz crystal (see plate section). We were focusing a concentrated light source onto the side of this crystal and capturing from the image generated. We have to study the resulting images in the minutest detail; a task which has to be repeated over and over again to ensure we haven’t overlooked a positive result. Sometimes we resort to using magnification, as some of the faces we see are very small. We cannot overemphasize the importance of studying every detail, and these particular results are a good example of what could be missed. We had put most of the originals aside, after looking at them in depth several times but, on a further study and using a mirror as an aid to recognition, the results were there for all to see. ‘Technology is moving forward rapidly, and, even since The Scole Experiment finished, there have been advances in the equipment available to record the events that may occur during our sessions. This is the way we wanted to move forward, with “modern means”. ‘One particularly interesting piece of equipment we wanted to use was a “light-imaging” system called the “BioField Reader” or “BFR”. This instrumentation enabled us to see “energies” not discernible with the naked eye, and also, because it used a video camera, there was a record in lighted conditions and in real-time of the “energy” present. After we had heard about the exciting new developments, the conversation came around to ‘what next?’ To cut a long story short, the four of us decided to form a new experimental group and conduct research sessions, to which others may be invited in future. We were excited at this new prospect. 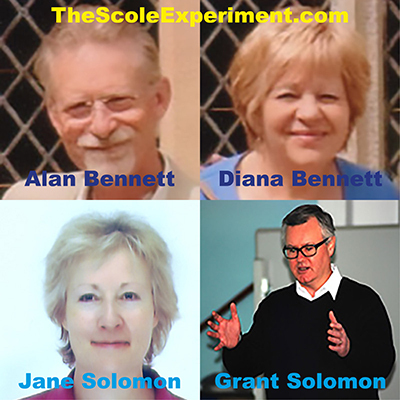 Unlike our research for The Scole Experiment, where we interviewed participants and specialists - and reported their experiences and comments - after the events, we would now be in a position to both participate in experimental sessions and report events as they occurred. We followed Diana and Alan in to the experimental room, where the equipment comprised digital video and stills cameras, tripods, crystals, bright spotlights and mirrors (see plate section). We each took one of the four comfortable chairs around the central table, on which sat a high resolution camera mounted on a tripod. The zoom lens of the stills camera was extended and focused on a crystal lit by a bright beam from a small spotlight. Diana opened the session with an invitation to those from other dimensions to join and work with us. We have no way of fast-forwarding to the future. We neither know what will happen in sessions of the Norfolk Group, nor who will be taking part as participant/observer (from whichever dimension of existence). 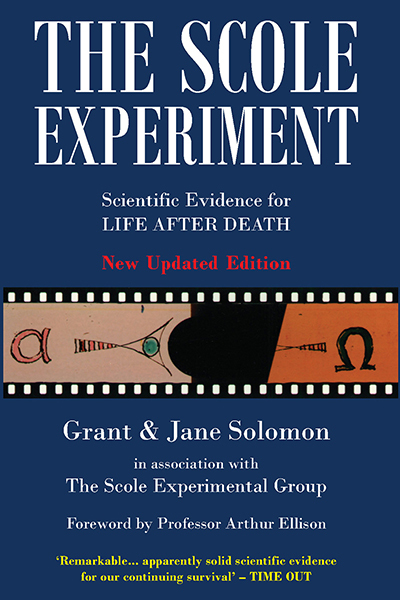 However, we do know what occurred during The Scole Experiment, and, on that basis alone, look forward to chronicling more about these events and all that happens at the sessions of the Norfolk Group in a forthcoming book, working title… The Norfolk Experiment. For images of the new work of the two Scole mediums, Alan and Diana Bennett, see the new Crystal Photographic Experiments [CPE] and ScoleCam Experiments [SCE]).